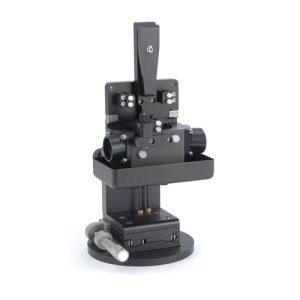 The scanning monochromator is designed specifically for spectroscopic ellipsometry. 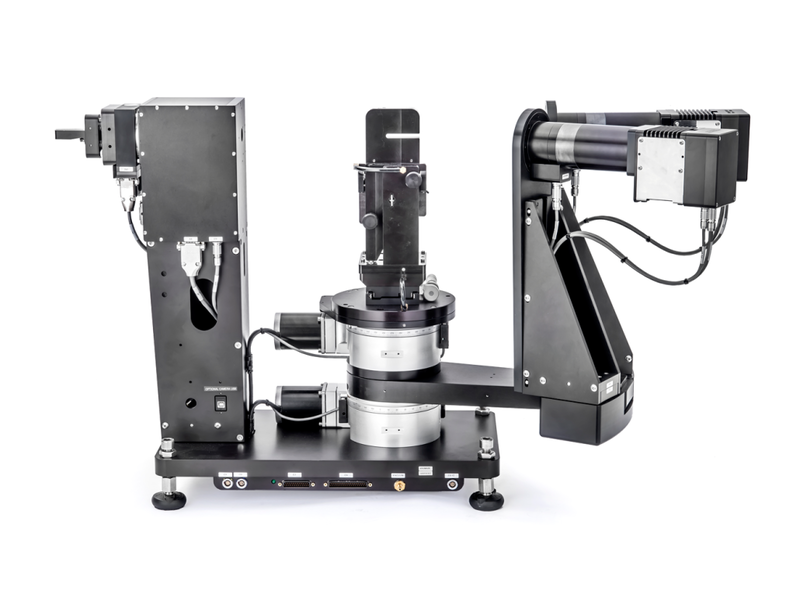 It optimizes speed, wavelength accuracy and light throughput, while automatically controlling selection of wavelengths and spectral resolution. 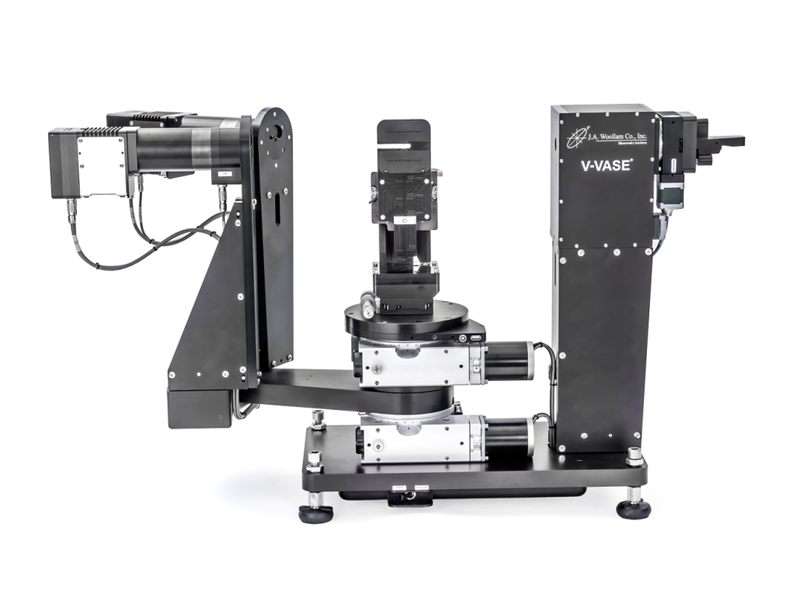 The VASE features a vertical sample mount to accommodate a large variety of measurement geometries including reflection, transmission, and scattering. 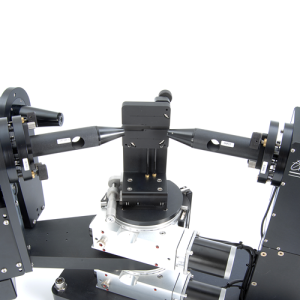 Rotating Analyzer Ellipsometers (RAE) maximize data accuracy near the “Brewster” condition – where Ψ/Δ data are content-rich. However, this region can be limiting for samples with reduced signal. 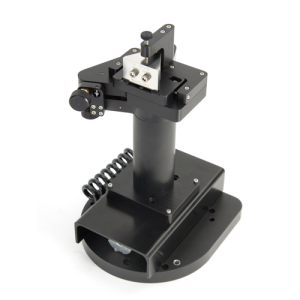 The patented AutoRetarder is a computer controlled waveplate which modifies the light beam polarization before it reaches the sample. 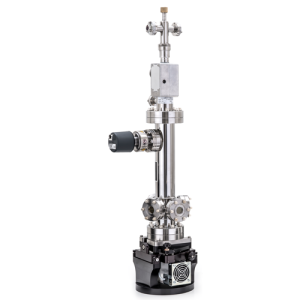 This produces optimum measurement conditions for any sample – under any conditions. • Ψ and Δ over the full range! 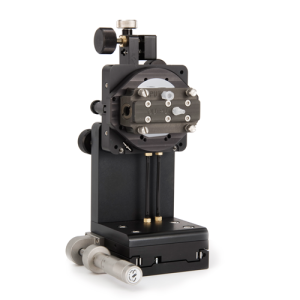 The AutoRetarder® measures Δ accurately even when close to 0° or 180° which helps characterize thin films on transparent substrates, such as glass or plastics. Applications include decorative coatings, anti-reflection and high-reflection layers and stacks, low-emissivity films, electrochromic and photochromic layers and more. VASE is sensitive to layer thickness down to sub-nanometer. 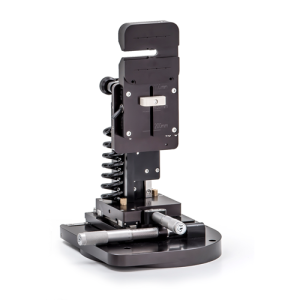 For absorbing layers, the VASE allows measurement of SE and Transmission Intensity (T). When analyzed simultaneously, SE + T often allow determination of n, k, and t. For example, this thin metal layer is only 14 nm thick. 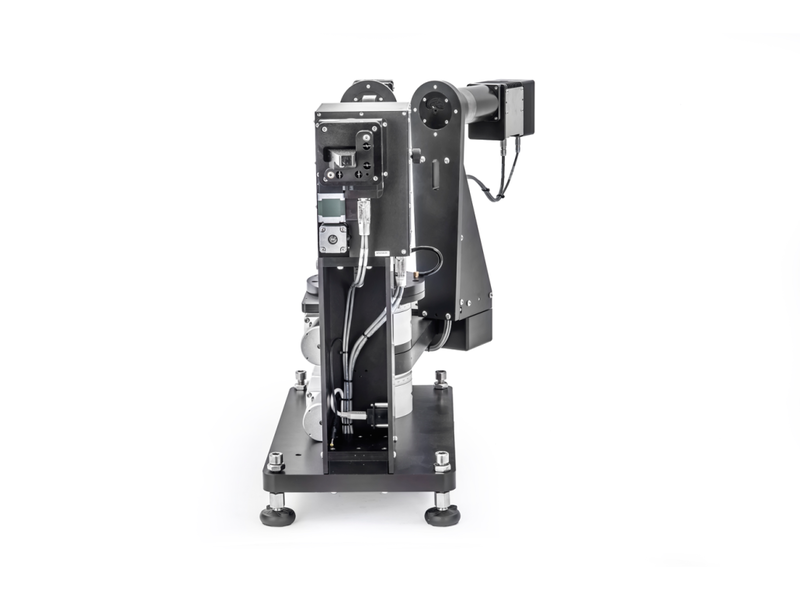 SE + T for thin metal layer. 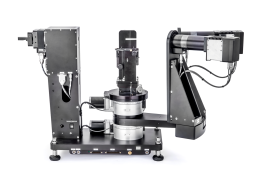 Bandgap, electronic transitions and critical points can be measured for semiconductor materials such as GaN, InP, SiGe, CdTe, etc. 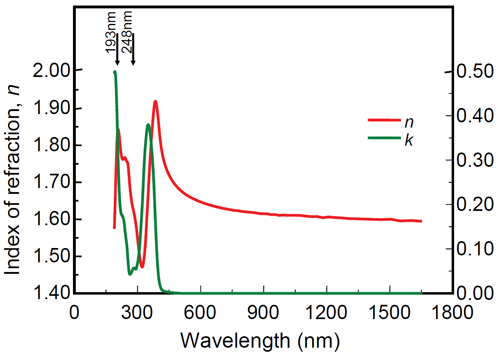 Good wavelength resolution and ability to measure depolarization insure accurate optical constants. 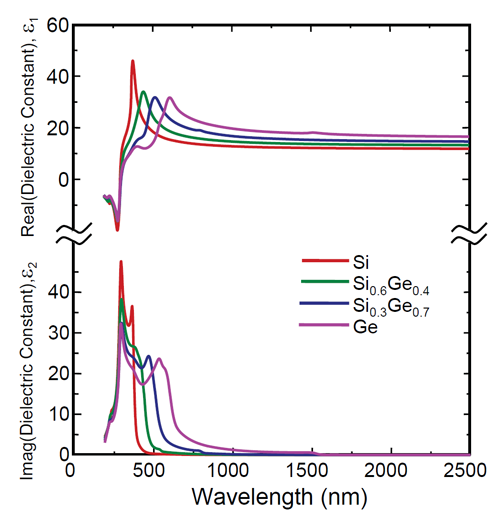 SiGe optical constants with varying composition. 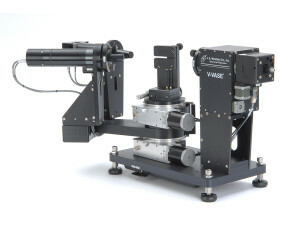 The monochromator is positioned before the sample, so only low intensity monochromatic light strikes the sample. 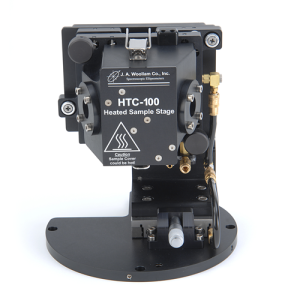 This prevents exposure of photosensitive samples. Optical constants of a photolithography film. 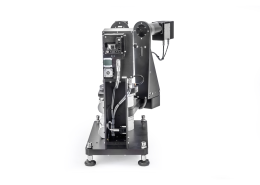 • AutoRetarder: patented technology provides highest accuracy on any sample. 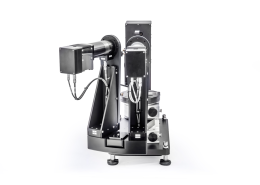 • Also measure depolarization, anisotropy, and Mueller-matrix data. 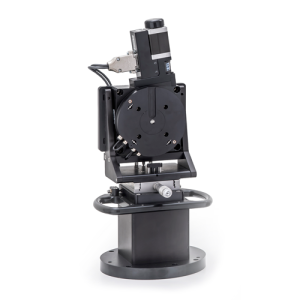 PMT Detector Add an auxiliary PMT detector for improved S/N performance in the UV. Table to be supplied by end user. Add camera with display to view spot location on sample. The light beam may not appear on smooth, specular surfaces. Standard stage and Translation stage are swappable. 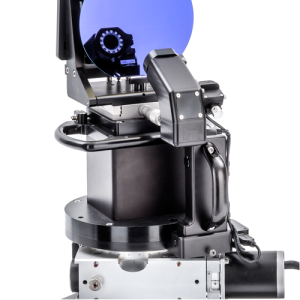 100 or 200 μm beam diameter depending on installed optical fiber. 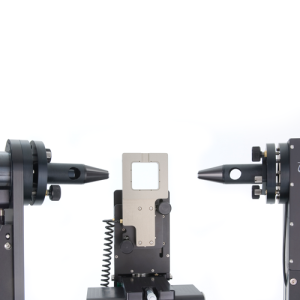 200 or 400 μm beam diameter depending on installed optical fiber. Commonly sold with Camera and 50×50 mm Automated Translation. 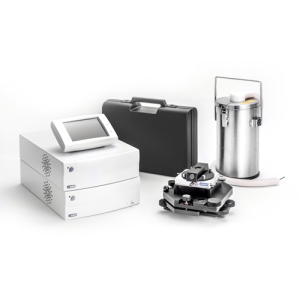 Includes UHV chamber/cryostat, turbo pump,and temperature controller. 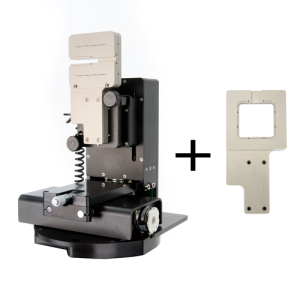 Cryostat can be installed and removed, which allows the user to switch between the standard sample stage and the cryostat. 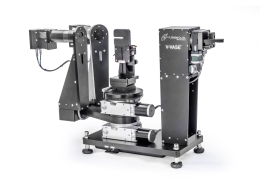 Automated high precision sample rotation (360° Theta-only) stage. Useful when studying anisotropy. 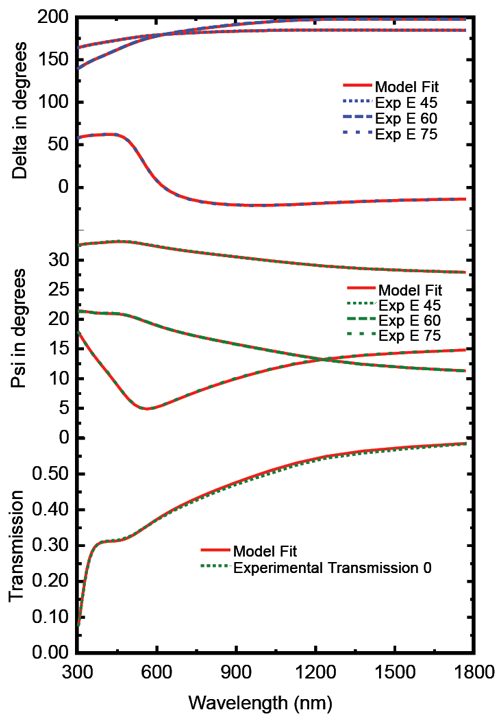 Through-hole behind sample allows transmitted beam measurements from normal incidence (0°) to ±19°. Standard stage and rotation stage are swappable. 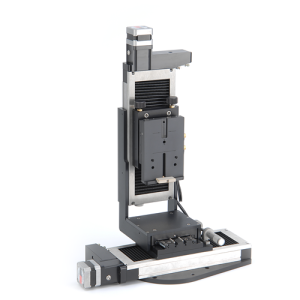 Standard stage and Manual Sample Translation stage are swappable. 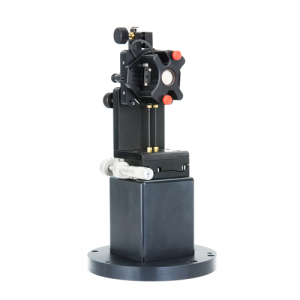 General purpose liquid cell with vertical mount above liquid line for convenient electrochemical work. General purpose liquid cell with 5mL volume. 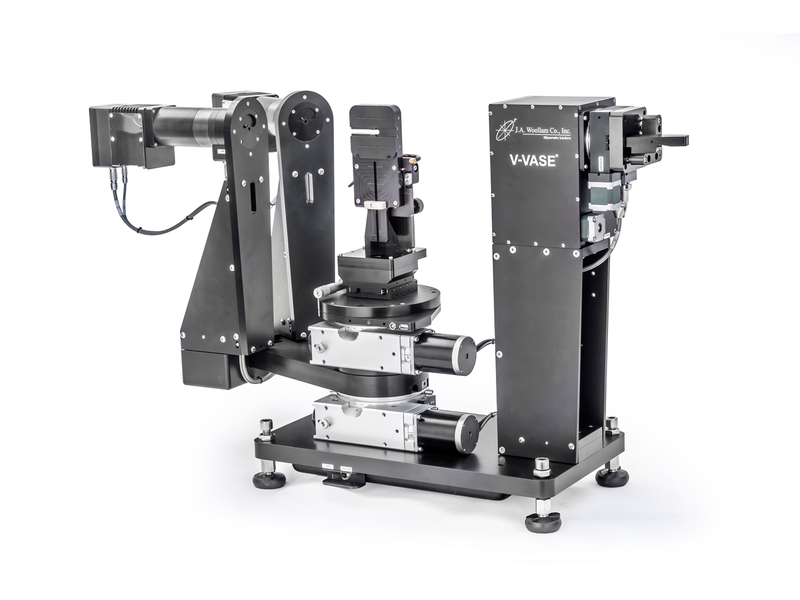 What advantages does VASE have over other UV-VIS-NIR models? 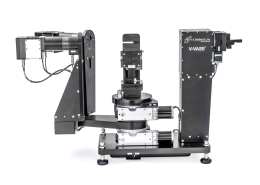 With our original VASE system, users have maximum control over measurement settings (including precise wavelength selection), the monochromator source protects sensitive samples from wide spectrum exposure, and the wavelength range can be extended up to 3.2 microns. Can the VASE be used in situ? M-2000 or RC2 are preferred.